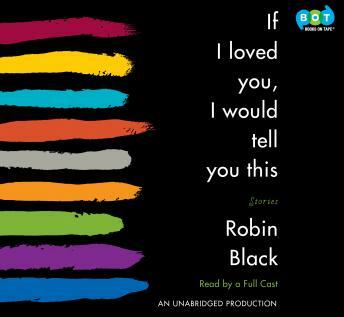 Heralding the arrival of a stunning new voice in American fiction, Robin Black’s If I Loved You, I Would Tell You This takes readers into the minds and hearts of people navigating the unsettling transitions that life presents to us all. Written with maturity and insight, and in beautiful, clear-eyed prose, these stories plumb the depths of love, loss, and hope. A father struggles to forge an independent identity as his blind daughter prepares for college. A mother comes to terms with her adult daughter’s infidelity, even as she keeps a disturbing secret of her own. An artist mourns the end of a romance while painting a dying man’s portrait. An accident on a trip to Italy and an unexpected connection with a stranger cause a woman to question her lifelong assumptions about herself. Brilliant, hopeful, and fearlessly honest, If I Loved You, I Would Tell You This illuminates the truths of human relationships, truths we come to recognize in these characters and in ourselves.